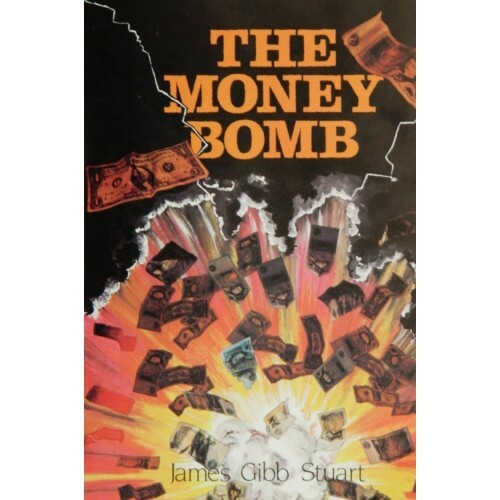 A dramatic exposé of the financial bomb ticking away unnoticed at the very heart of the world’s financial systems, and the vested interests who don’t want us to know, “the Money Bomb” is still as relevant today as when it was originally published back in 1983. In this e-book version (original contents supplemented by up-to-date statistics) read for yourself how accurate Mr Gibb Stuart’s predictions were. read for yourself how accurate Mr Gibb Stuart’s predictions were. ‘The Money Bomb’ was launched on the morning of the Chancellor’s Budget in April 1983 and although it was featured in the 1st Edition of the London Evening Standard, by the time the second edition was on the streets, the article on the ‘Money Bomb’ had been pulled. Similarly, orders taken earlier that day from retailers were mysteriously then cancelled. Clearly ‘The Money Bomb’ had hit a raw nerve with the authorities and the assumption is that the powers that be, must have felt it was too close to the truth for comfort. But why ? What caused such concern ? Now 30 years on, the bomb’s ticking has accelerated and the shocking predictions made in 1983 have already come scarily true.